Myrtos is a coastal village in the western part of the municipality of Ierapetra on the island of Crete. It is located 15 km from Ierapetra, the most southern town of Europe and 50 km from Agios Nikolaos, on the road to Viannos. Myrtos is situated at the Libyan Sea. The population of the village was in 2010 about 600 people. In the village you’ll find quite a few tavernas, some hotels, apartments and studios and a few shops. 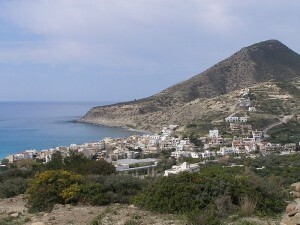 The area around Myrtos was already inhabited in the Minoan period, but the current village dates from the first half of the twentieth century. Before that it was a small port, where inhabitants from higher surroundings traded their local products, which they shipped to Ierápetra. 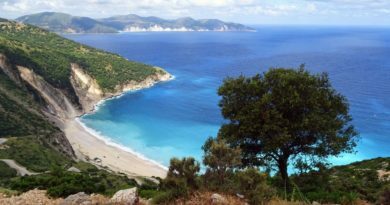 Only when threats from piracy along the Cretan coast diminished and it became safer to live there did the village of Myrtos develop. Myrtos has a subtropical climate. The temperature in the south of Crete is a couple of degrees higher than in the north, because colder winds from the north are blocked by Dikti mountain. Myrtos has a long beach, consisting not just of sand, but also of finely grained pebbles. The beach has received the “Blue Flag award”, which requires the beach to satisfy a number of criteria in order to retain it. The nearby village of Tertsa has a very long beach. On the two outlying beaches of Tertsa nudism is tolerated by the authorities. Myrtos is also the location for two Minoan archaeological sites, at Fournou Korifi and Pyrgos, which provide evidence that the village and the surrounding area have been inhabited since the neolithic period. There is also a Roman villa, although the ruins are now largely covered or lost due to coastal erosion and local building. In Myrtos you’ll find a small museum, dedicated to the local history, which features a scale model of Fornou Korifi created by John Atkinson, a British potter resident in the village, who is also the current Museum Curator. Sarakina Gorge (also called Myrtos Canyon, after the nearby village of Myrtos) is a canyon in the southeastern part of Crete. 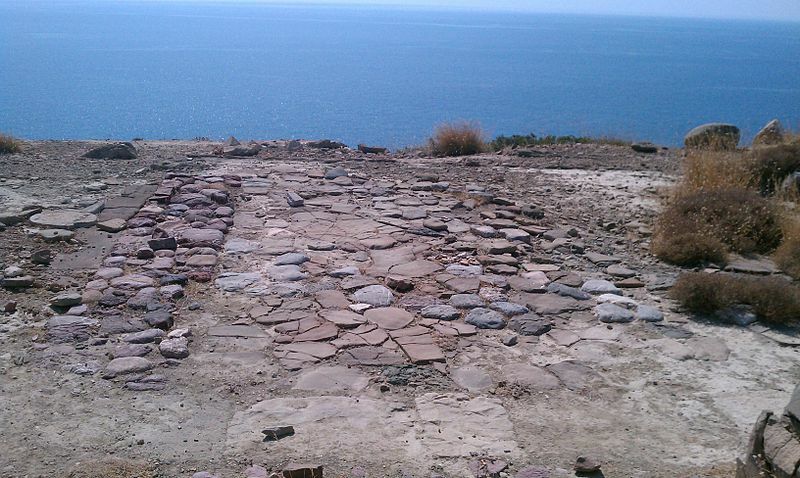 It is located about 15 km west of Ierapetra and a few kilometres upcountry of Myrtos, near the small village of Mithi. Its length is about 1.5 km and the width between 3 and 10 meters, only at a few point it reaches more. 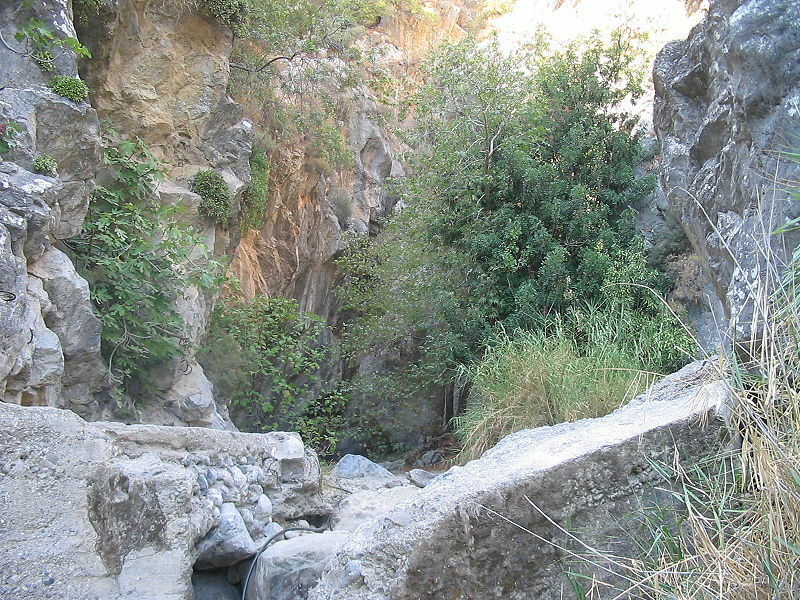 The height of the walls peaks at about 150 m. The river of Kriopotamos flows through the gorge and carries water at varying levels during the year, due to moist winters and arid summers. 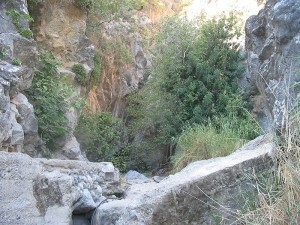 The canyon can be accessed from the lower as well as from the upper end. The lower end of the canyon is somewhat easier to locate, while the canyon’s transit from the upper end is easier to manage – the entrance into the canyon is hard to find in both cases, because it has not become a tourist attraction yet. The level of difficulty of a transition is medium, although one single transit takes only about one hour and a half, as you have to walk in the river at some parts and a few stone steps have to be passed. Otherwise belaying with climbing equipment is not necessary. 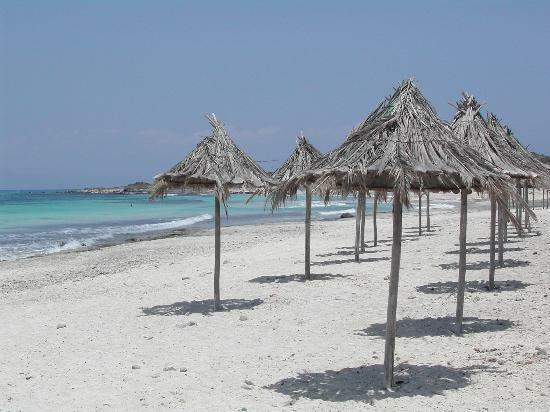 Chrysi (“golden”), alternatively known as Gaidouronisi (“donkey island”), is an uninhabited Greek island about 15 km south of Crete close to Ierapetra in the Libyan Sea. Approximately 700m east of the island is the island of Mikronisi. Administratively these islands fall within the Ierapetra municipality in Lasithi Prefecture. It is possible to visit Chrysi by sea from Ierapetra and from Myrtos. There is a nudist beach on the north coast of the island. The highest point on the island is called Kefala (“head”) and it is 31m above sea-level. On the western part of the island is the chapel of Saint Nicholas (estimated to date to the 13th century). 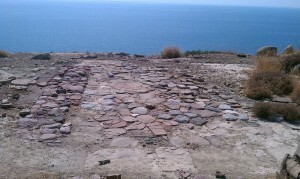 There are also a salt pan, an old port, some Minoan ruins, a lighthouse and a Roman cemetery. 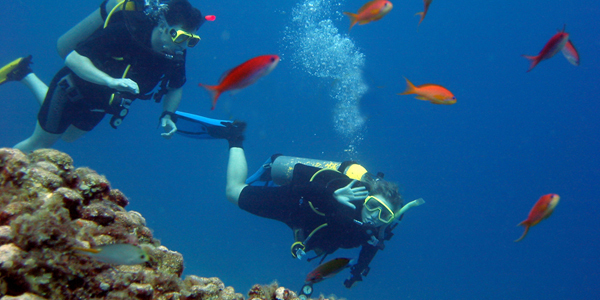 Due to the shallow waters around Chrysi, snorkelling and diving is a popular pastime. The Belegrina, Hatzivolakas, and Kataprosopo bays have a wide diversity of shells. Chrysi is protected as an “area of intense natural beauty”. The island hosts the largest naturally formed Lebanon cedar forest in Europe. There is no fresh water on the island. 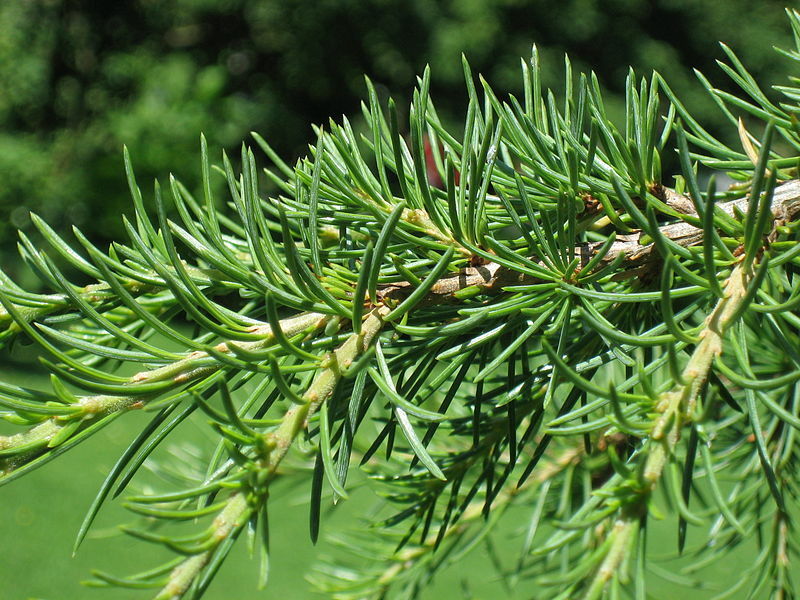 The majority of trees have an average age of 200 years and average height of up to 7 metres, some of the trees are up to 300 years old and 10 metres tall. 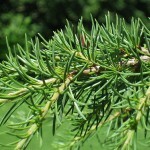 The density is approximately 28 trees per hectare. On the west part of the island you can see the well-preserved old chapel of Agios Nikolaos, the salt pan which still gathers salt, the old port, the Minoan ruins, some Roman carved graves and the light house. At the Byzantine era the inhabintants on this tiny island were living mainly from fishing, salt export and the export of “porfira” a scarlet dye produced from shells for the cloaks of Europe’s royalty. Later pirates forced the inhabitants to flee Chrysi for safety on Crete and they used the island as a hide-out. Many pirate and merchant ships have sunk in the sea around Chrysi. Divning around Chrysi: In the sea around the island the variety of the marine species is impressive. About 55 different species of fossils were set on the volcanic rocks 35.000 to 70.000 years ago, when Chrysi was covered by water. A number of them still live in the sea around Chrysi. As a result all of the northern coast, Belegrina, Hatzivolakas and Kataprosospo bays are full of shell. The turquoise waters around the island are shallow. Both northe and south of the island the depth does not exceed 10 metres for about one kilometer. 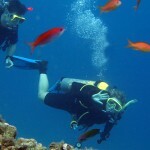 This makes Chrysi the best place for snorkeling. It truly looks like paradise on Earth.